March's COTM is Double Hammock. 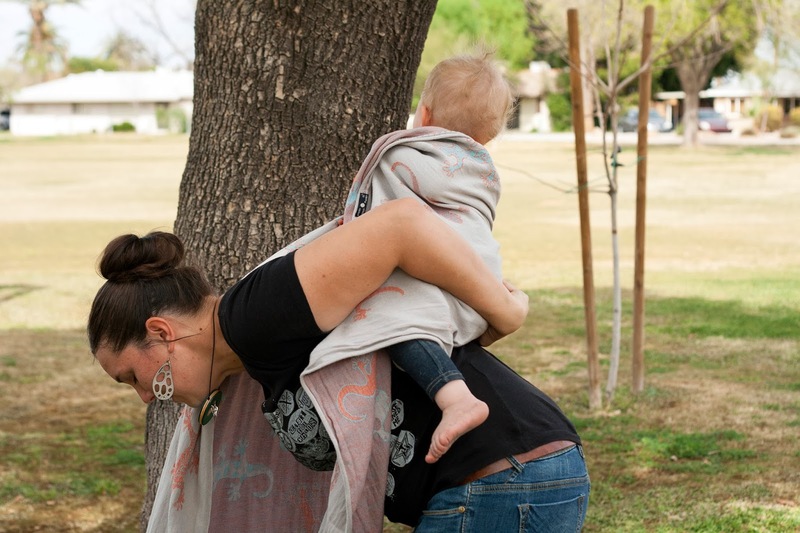 DH is a great back carry for a wide range of babies, It is supportive and secure because of the multiple passes over baby and the pass over your chest. 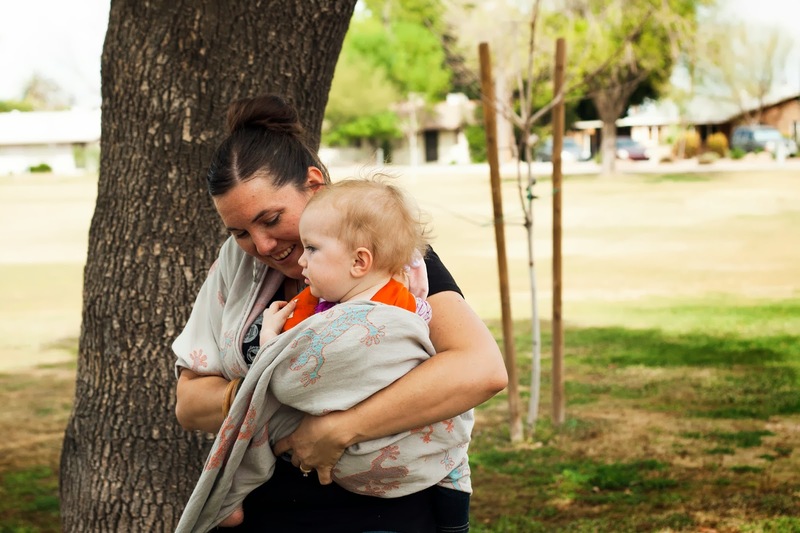 This month's carry was modeled by our lovely TaiLeah and Maeve Madill in a Didymos Geckos 6. 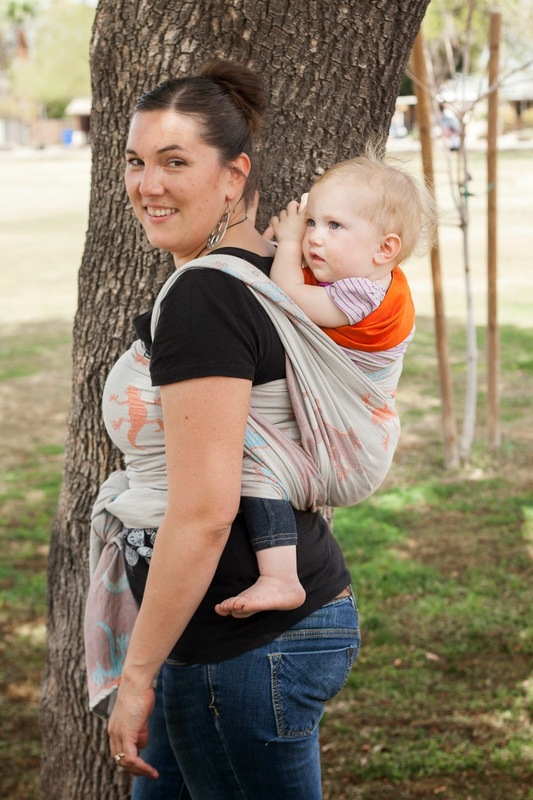 Most people use a size 6 wrap to do this carry, sizing up or down based on your size. Start off by placing the wrap about a 12 in. 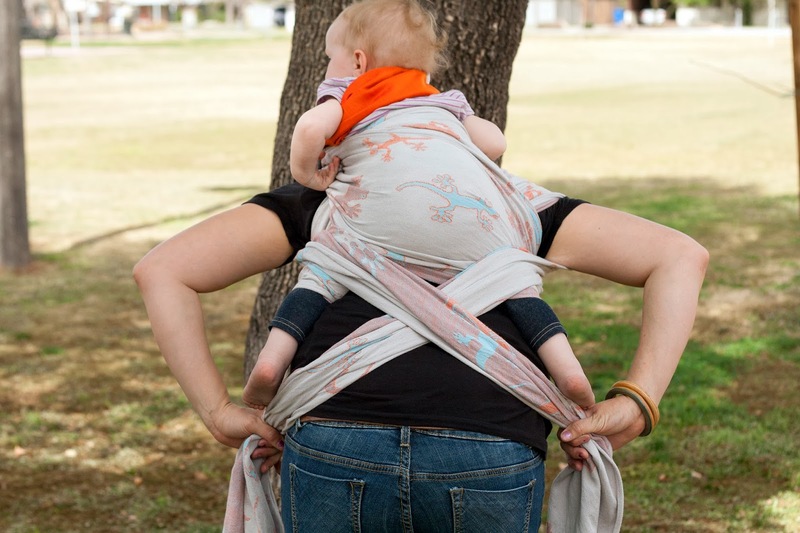 off-center onto the baby's back. Tuck the bottom rail up between baby's legs and pull the top rail to baby's neck. 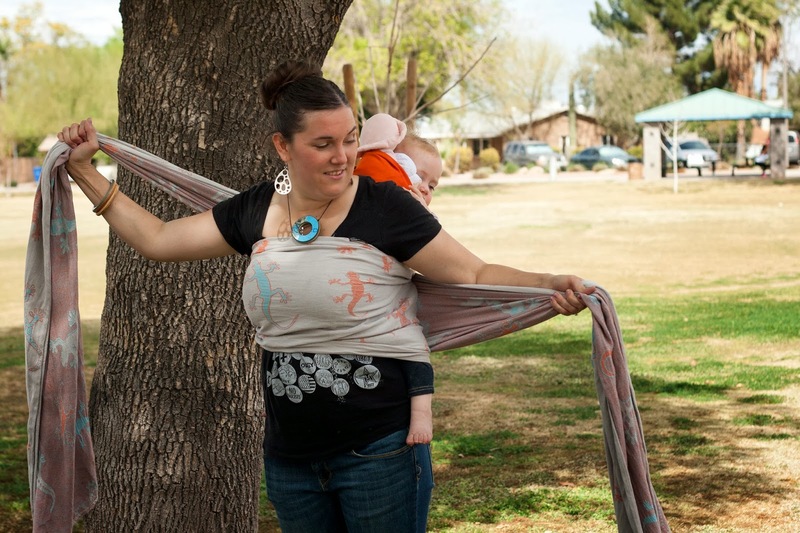 The shorter side of the wrap will go up and over your shoulder. Lean forward and slide baby around onto your back. 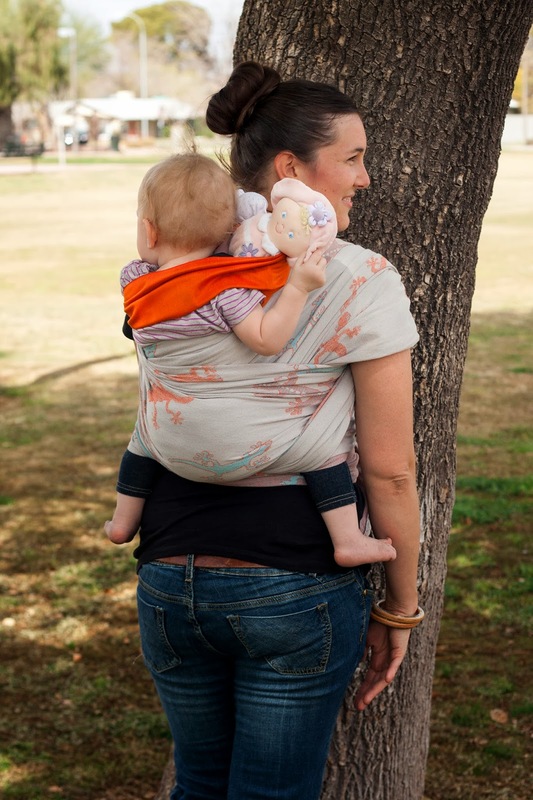 Bring the longer side of the wrap tightly around your bust, over baby's back and bum. 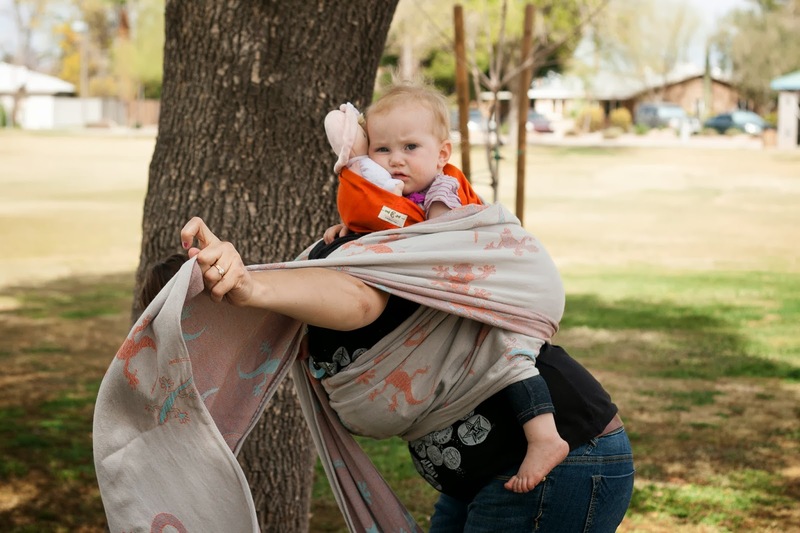 At this point you can keep tension on both sides of the wrap, bounce gently and tighten. Take both sides of the wrap and pass them over your shoulder and under your armpits, like backpack straps. Cross them over baby's thighs and then under the legs. 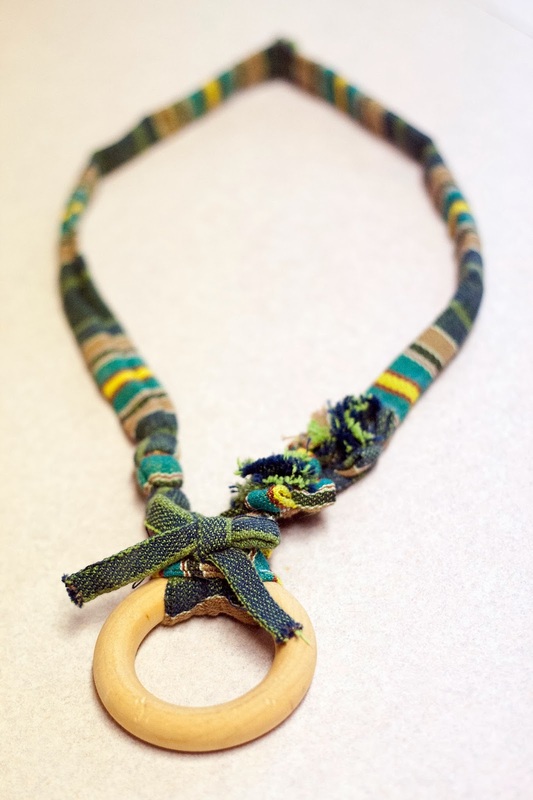 Bring the ends around to your front and tie off in a double knot. Baby supported with legs in a nice M position.